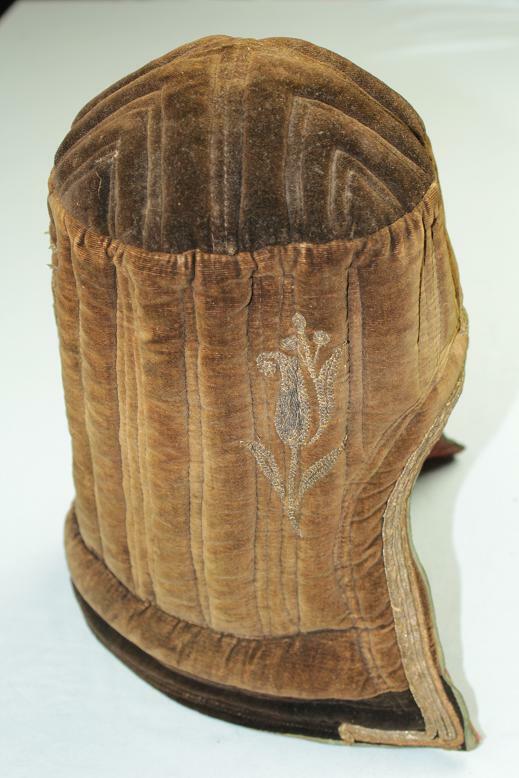 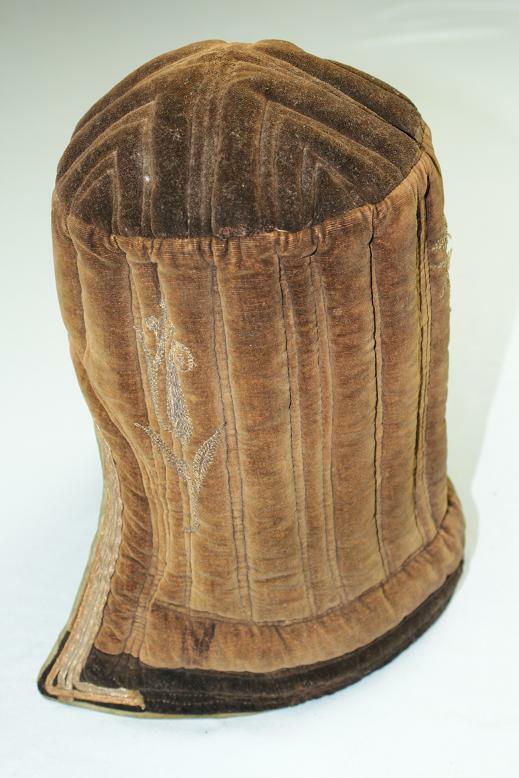 A fine Tibetan Top hat from the Zanskar Valley regions. 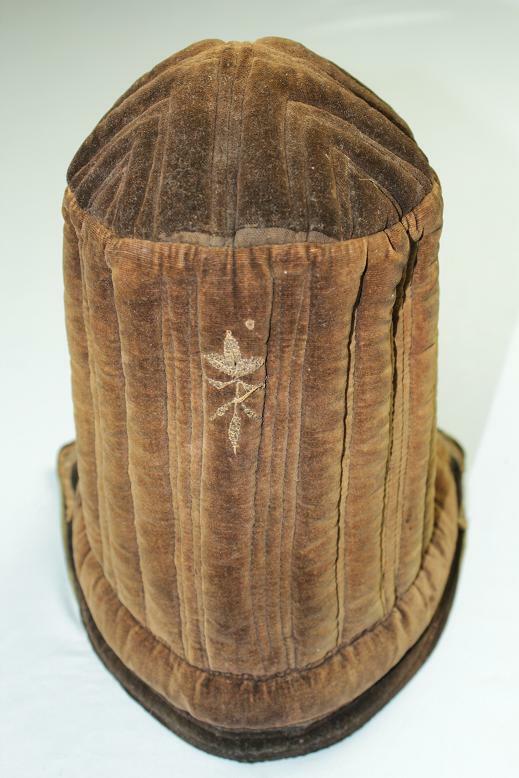 This hat stands approx 27cms tall. 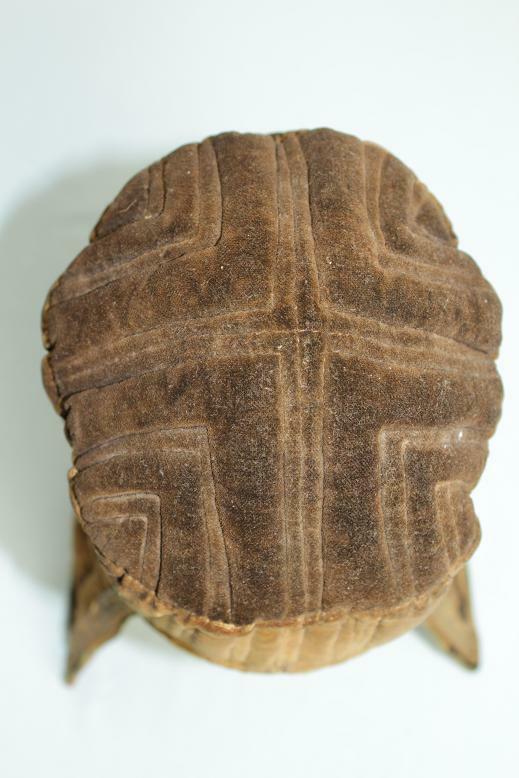 Across the top it measures approx 15cms wide. 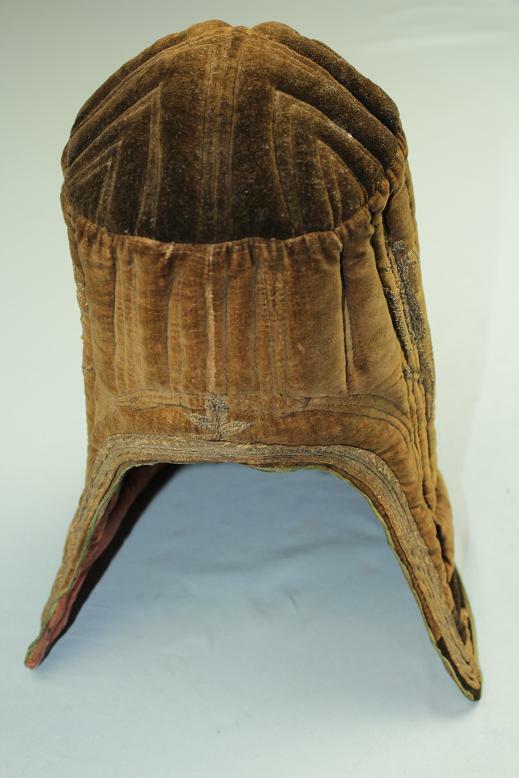 The entire hat is constructed from a thick padded and stitched material. 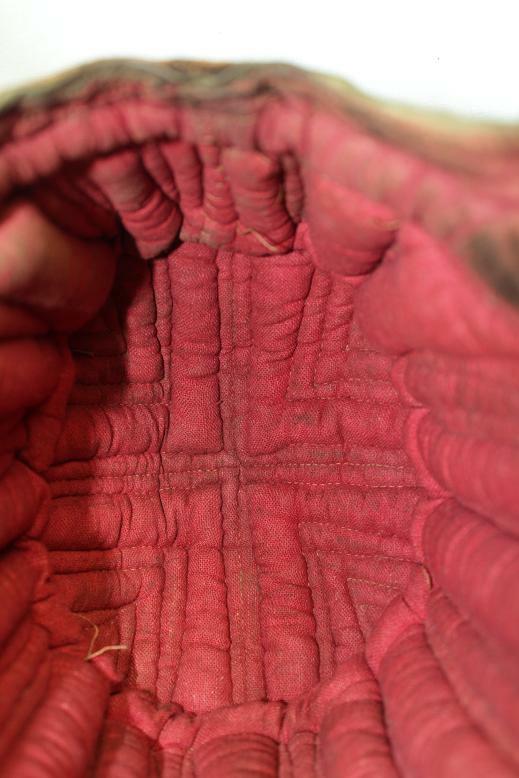 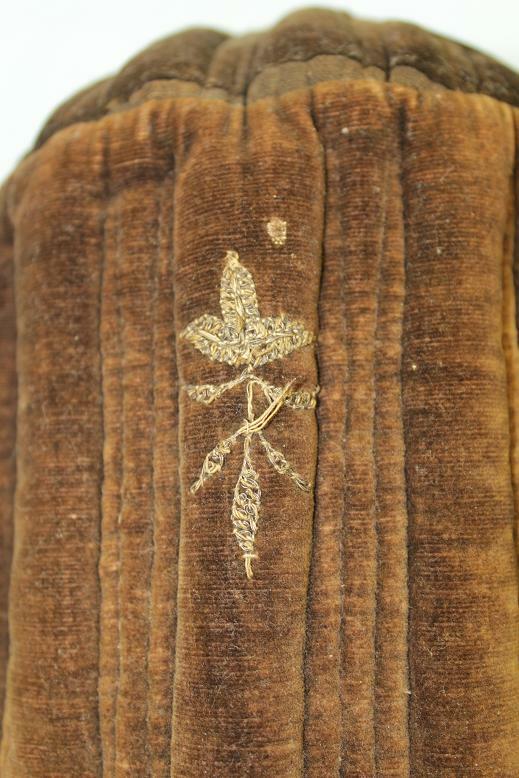 The outer of a velvet type with the inners a more cotton like cloth. 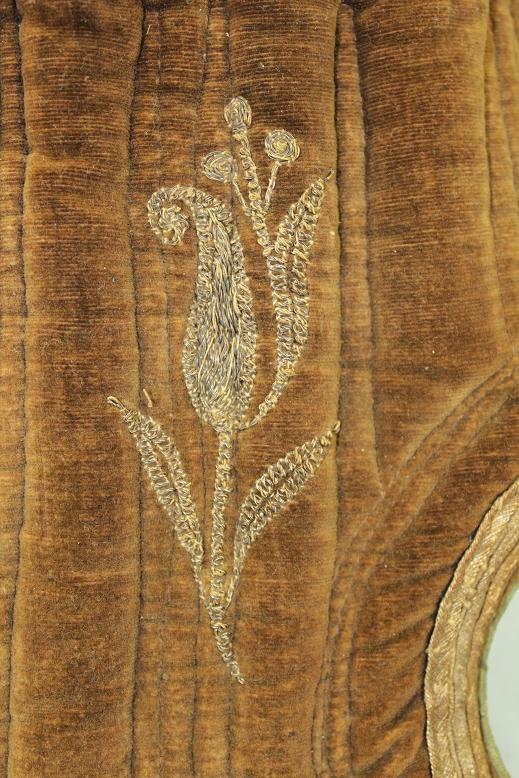 The front, back and sides display an embroider floral motif, with the sides being a much larger variety of floral work and the thread appearing to be a bullion type. 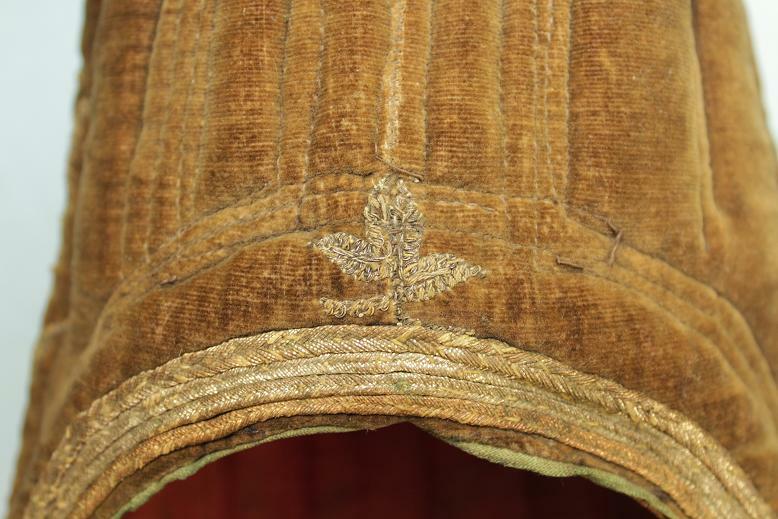 The top of the hat, through the stitched design, appears in many ways to resemble the Chinese longevity symbol. 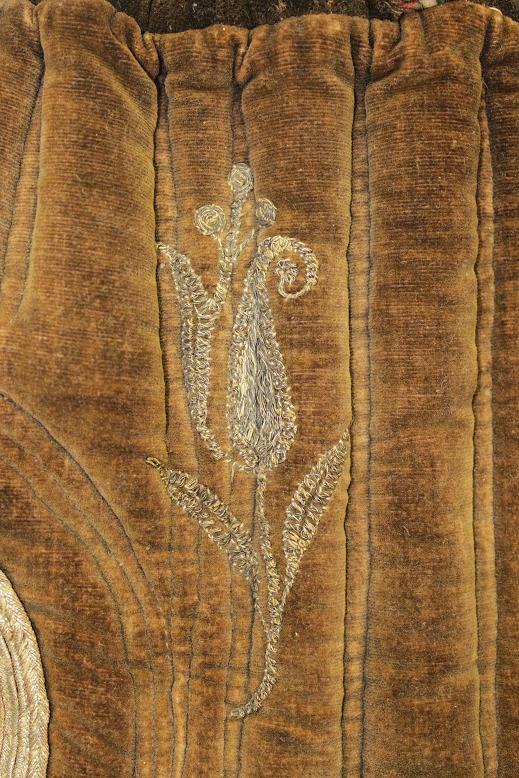 The fabric edges of the open face are stitched in 4 rows of gold, silver and copper bullion thread. 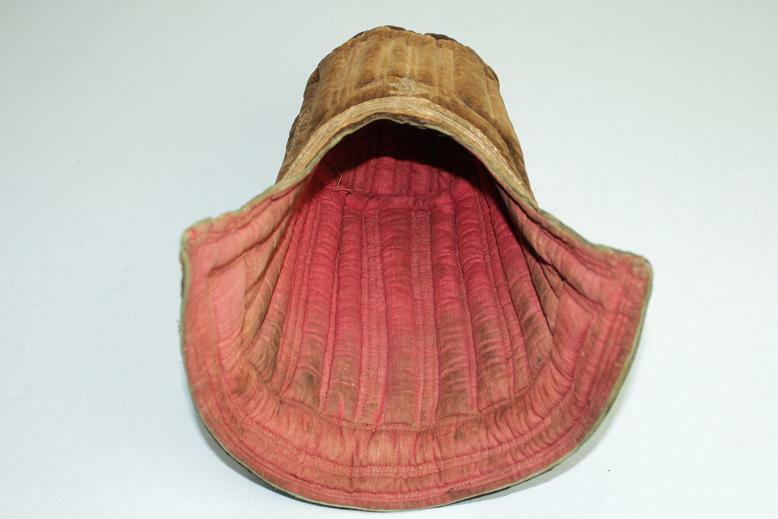 A fine example of Tibetan Zanskar valley head ware.